Motoring can be an expensive habit- with the insurance, gas, maintenance and monthly repayments, it's no wonder many of us make the switch to public transport or the healthier option of cycling and walking! A car is essential for my line of work, and these tips on how to buy a used car are super useful! The average new car is priced at just under £30,000. Yet by the time the clock has ticked over to 10,000 miles, the corresponding average value drops to around £21,000. That’s a decrease of 30%, on a car that’s still almost new! Thereafter, the rate of depreciation on average drops by a about half, meaning that, in most cases, getting a car that is roughly 12 months old will allow you to get the best value from it. The exceptions to this rule usually pertain to luxury cars, which tend to hold their value better over the first year. But depending on your budget and what you’re after, this may not matter anyway. Part exchanges may be less of a hassle, but it is estimated that going down this route will see you miss out on up to 20% of the value of your old car. True, selling privately will mean you have to put in more effort, advertise the car, meet prospective buyers etc, but it will likely be worth your while. However, if you still decide to go for part exchange, beware of dealers inflating the value of your old car, only to charge you more on the new model. Remember, the difference between the two is all that matters. 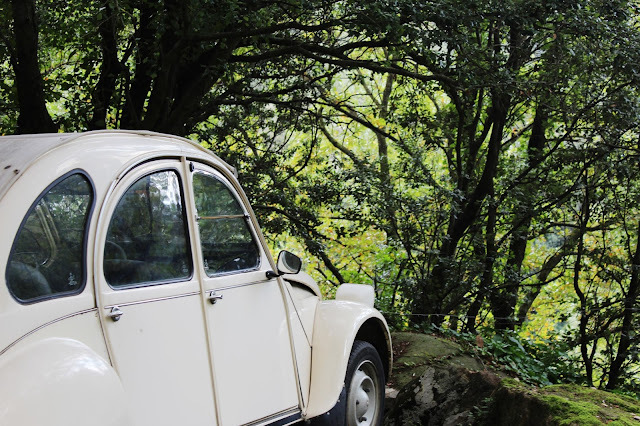 If you aren’t much of a mechanic, make sure that when you view the car you are with someone who is. Someone that you can trust, too. A thorough once-over is arguably the most important thing to do when buying a used car, so make sure that you have absolutely every base covered. Here is a handy checklist, which should help your cause. There’s a good chance that you might not have the necessary funds lying around to cover the cost of a new car. That’s okay, and you’ll be pleased to know that there are some excellent deals out there on car loans and car finance. Be sure to do your research, and find a rate and repayment structure that suits you. However, what you don’t want to do is skimp on your next car because you’re afraid to take out a loan. Remember, this is a long-term purchase that will serve you and your family for many years. Make sure you do it properly! 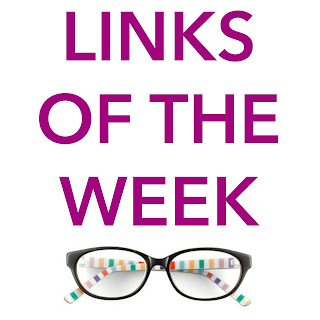 This is a sponsored post in conjunction with Lending Works. Many of you will know that I love to travel, and next month I'm headed to Australia and New Zealand. My last trip was in 2010, and six years on, I'm excited to revisit many old haunts and discover some new ones! I travel pretty frequently for both work and fun, but am always interested to hear how you cope with travel and if there are any top tips you can share for beating the boredom and stress, and making the whole 'getting there' experience enjoyable! Share your thoughts with me in the comments or via Twitter! 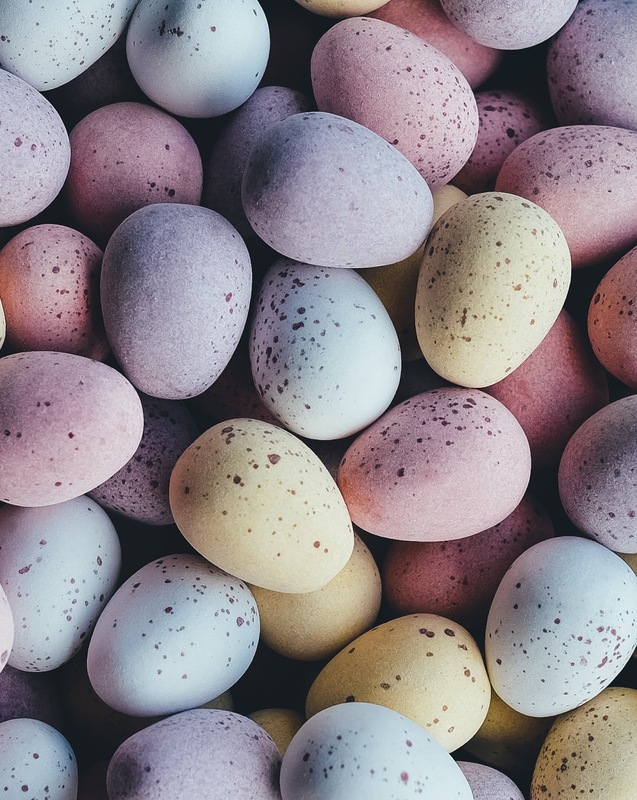 Happy Easter weekend everyone! Hope you're enjoying the nice long weekend and that the weather is good where you are! I'll be spending my weekend catching up with friends over brunch before hunkering down to complete a stack of work. Tough....but worth it! Nora Ephron: Prophet of Privacy: Ahead of a new documentary about Ephron's life and work, this posts from The Atlantic talks about her influence and legacy. 14 Life Lessons from Norma Bates: I've been binge watching Bates Motel lately- and I just had to write a fun piece about Norma Bates! The World's Fifty Greatest Leaders: Are your inspirations on the list? Park Slope Townhouse is selling for $15 million: one word- wow! Landing in Havana yesterday aboard Air Force One. This week, the President, First Lady and First Family headed to their first visit to Cuba. Since 1928, no U.S. President had traveled to Cuba — until this week. On Sunday, President Obama boarded Air Force One and blazed a new trail for the U.S.-Cuba relationship as he arrived in Havana. This historic trip has ignited excitement from Americans and Cubans alike. Check out their historic trip through these videos. Whatever your plans this Easter season, I hope you have a great one! 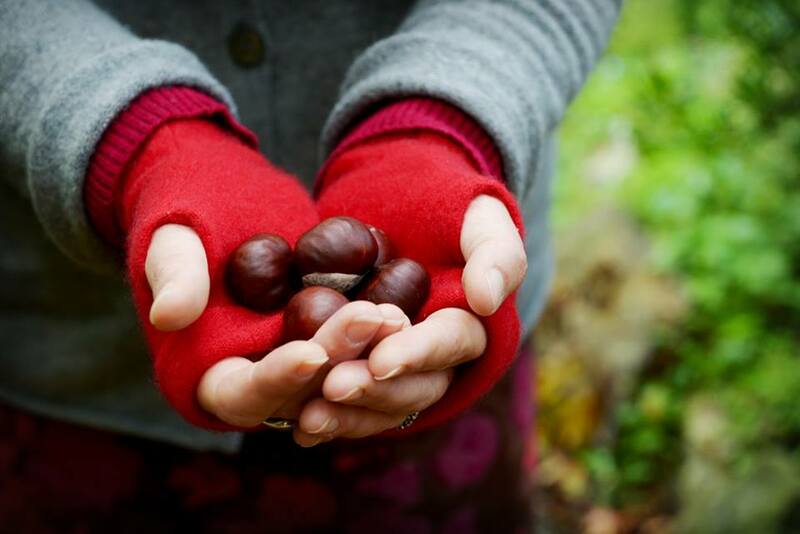 It's been a chilly time here in the UK, and I've been really thankful for a pair of cashmere gloves that turned up from Turtle Doves! 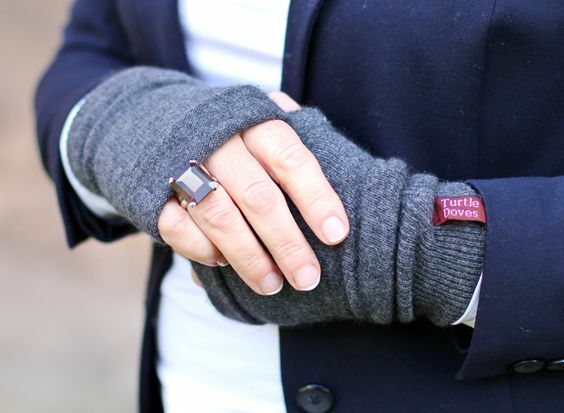 Based in the UK, Turtle Doves is owned by Kate Holbrook. Nestled in the hear of Shropshire, the Turtle Doves team specialise in turning pre-loved cashmere jumpers into practical and gorgeous new accessories. Kate shares her business story below. I had the idea for the business after breaking my leg and having to stop work to recuperate. I dreamt up the design for unique wrist warmers which are also fingerless gloves. I tested the idea at a local school fair and to my delight they were a success! We soon launched new products and our business continued to grow, with surprising international appeal. What have been the highlights/challenges? I love the design side of the business and the ‘people’ side too but struggle with paperwork and numbers…some parts of the job of running a business require help from others with the right skills. Why did you decide to run a business that has clear environmentally friendly credentials? I have always preferred to re-use, whether it’s making my family share bath water – that makes me unpopular, or turning an old pair of jeans into a bag. I worked for a fantastic recycling company called ‘Scrap Scrap’ years ago run by Jakki Moase and that’s where my inspiration came from. What’s the inspiration behind your design process? I call the process ‘waste-led design’. My main aim is to use as much of every garment that we can. The caveat is that the design must be attractive and above all useful. Who would you love to see wearing an item from Turtle Doves? I love it when anyone wears what we make really! What are your future plans for Turtle Doves? We are always experimenting with ‘new’ fabrics and designs. At the moment we are trying to create a new fabric which will make us a zero waste business. I’m not sure if it will work…wish us luck! What's the best way of seeing who is the most important and influential players in the 2016 presidential campaigns? Sure we've heard lots about Clinton, Trump and Cruz, but what about the other players in the mix? Influencer2016 is a great online tool that enables users free of charge to see who are the key players, how they connect and which spheres of influence they operate in. Wyeth Ruthven of Qorvis MSLGROUP explains more. How is Influencer2016 shaking up the way viewers can engage with election coverage? At Qorvis MSLGROUP we wanted to create a tool that answered the question "Who is influencing the powerful and influential?" So we wanted to map out a political ecosystem - who are the candidates connected to? Who are their staffs connected to? What people, places and organizations are having the most influence on the campaigns. Influencer16.com does that. What is the inspiration behind the digital map? We wanted a tool that could visualize connections between candidates, staffers, campaigns and organizations. In a way, it's like the Six Degrees of Kevin Bacon game. This candidate is connected to this person who worked at this organization and met this other person on a campaign -- and so on. Why do you think voters are fascinated by political influencers? Sometime in the 1990s political consultants became celebrities. It's like James Carville and George Stephanopoulos were the stars of the documentary The War Room. And the entire cast of The West Wing. And Alexandra Pelosi's documentary about George W. Bush. Voters want to see what goes on behind the curtain. 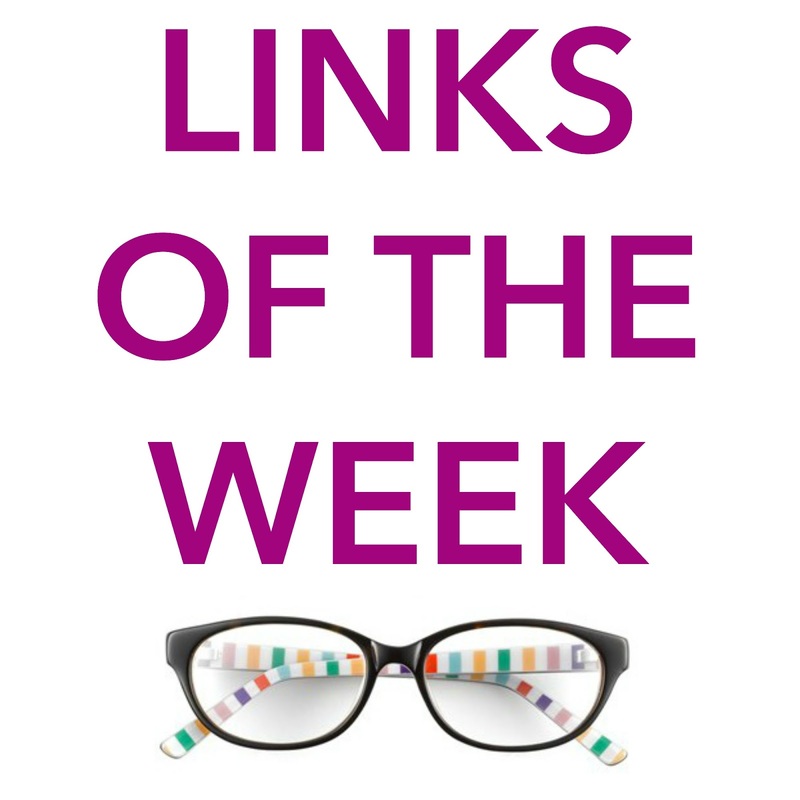 Can you share some of your key findings? You see the biggest contrast in influencer maps between Hillary Clinton and Donald Trump. The Clinton map looks like a spider web with 25 years of connections. And the connections surrounding Hillary are completely different from the connections surrounding Bill. You can click on a dot and move it around on the map, and if you put Hillary and Bill on opposite ends of the screen, it really illustrates the two different networks. Meanwhile, Donald Trump's map is a very rigid hub-and-spoke system Everything links back directly to The Donald, or to his campaign manager Corey Lewandowski. And I think that is emblematic of Trump's campaign -- he runs his own show, even when he makes it up as he goes along. How do you think influencers will play a pivotal role in the 2016 Presidential Election? Who are the biggest influencers? In every winning campaign, you typically have three key influencers -- a strategist who sets the big picture, a tactician who manages the day-to-day campaign, and a communicator who handles messaging. On George W. Bush's campaign, you had Karl Rove, Joe Allbaugh and Karen Hughes. On the Obama campaign, it was David Axelrod, David Plouffe and Robert Gibbs. So that's typically who you look for on our influencer map. Happy weekend everyone! Congratulations on making it through another week! :) This week has been a busy one for me, pushing several projects further along their pipeline and making plans for the coming months! Lorfords Hangar grows in size: it is great to see the famous Hangar One taking shape! Lorfords is the best destination for antiques and design inspiration. This new space is amazing! What every business partner could learn from House of Cards: mix friendship with business? Align your goals? These tips and more are really interesting! Celebrities on planes: some great photos here! Barbara Bush was my neighbour on a flight from NY to London last year! This week, President Obama announced his nominee to the Supreme Court. President Obama introduced the American people to his Supreme Court nominee, Chief Judge Merrick Garland. An eminently qualified jurist, Chief Judge Garland has spent nearly 20 years using his keen ability to build consensus in service of the public good. In fact, he has more federal judicial experience than any Supreme Court nominee in history. His integrity, mastery of the law, and unimpeachable credentials are well-known in the legal field. Further details on his record can be found here. During April I'll be headed down under for an Australian adventure!! I'll be spending the majority of my time in and around Sydney, with a short stop in Canberra before I head to New Zealand's South Island for a few days. 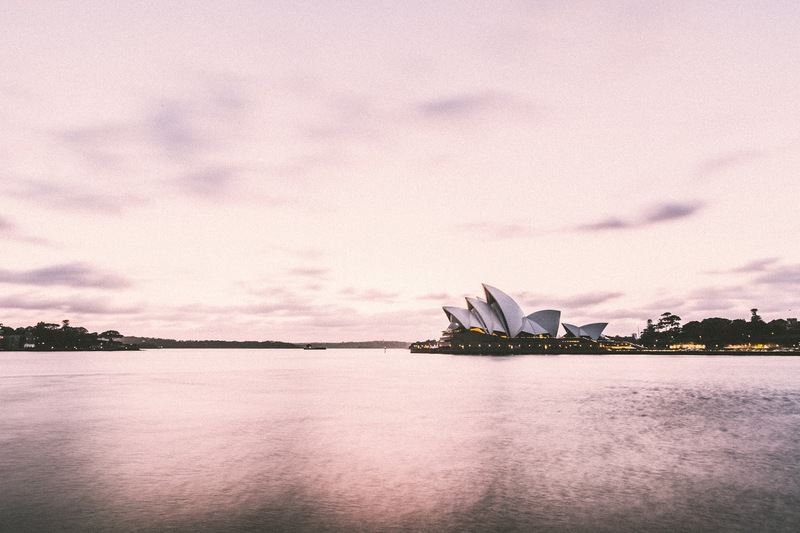 I'd love to hear your suggestions and tips for what I should see in Sydney! Are there any restaurants/bars that I should check out? And what about some awesome shopping experiences? Let me know in the comments or on Twitter! These days you can pretty much have anything sent to your house through a subscription. So why should socks be any different? 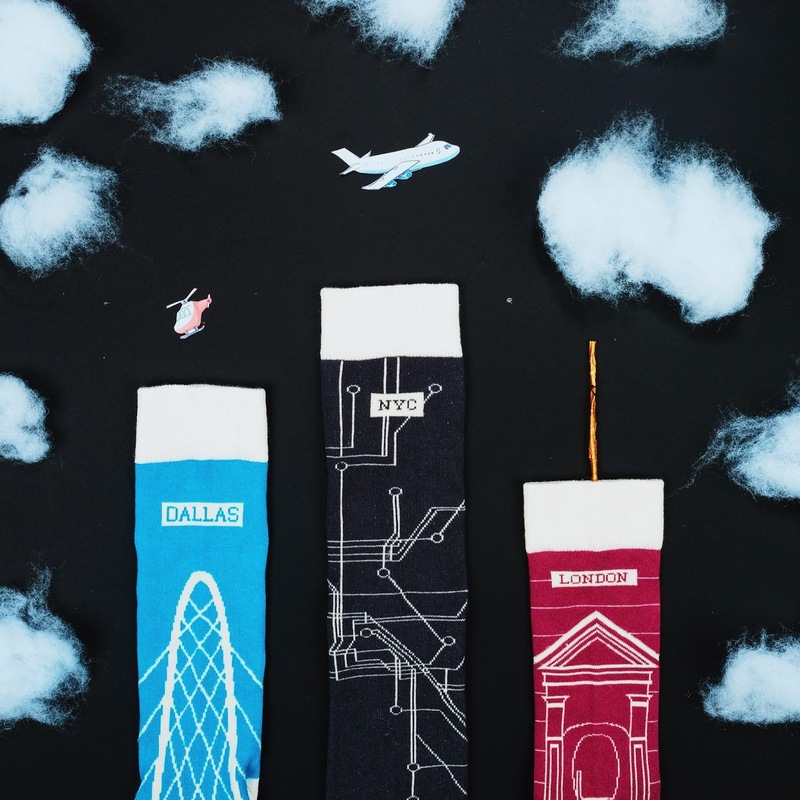 I'm pretty much obsessed with Foot Cardigan, the absolutely awesome sock subscription service. For just $9 a month, Foot Cardigan will send you a unique pair of socks - it's like winning the sock lottery! Subscriptions are available for adults, kids and as gifts and you can also small or bulk batches. From sharks to pizza, bumblebees to all seeing eyes, each pair of socks are as unique as the last! I was sent a pair of turkey socks (hello holiday season!) and one of Foot Cardigan's new Mytropolis line to try. As a Brit, I aptly received a pair of the London socks - I'll be wearing these with pride! So if you're after a feet treat every month or want to surprise a pal with a fun and functional gift, check out Foot Cardigan! Thanks to Foot Cardigan for sending me two pairs of socks to try! Brighter days are coming and with the change in the season comes a new found desire to immerse oneself in things that make us smile. Enter Verry Kerry, a colourful lounge & day-wear clothing brand inspired by travels and sun dappled adventures. Verry Kerry likes to do things a little differently, creating a feeling that lasts beyond the pull of fashion and trends. All of Verry Kerry's pieces are flattering & versatile, with a carefree bohemian flavour, created with passion, ethics and exceptional craftsmanship. The collections are beautifully hand finished by skilful artisans to create unique, eye catching pieces, combining feather-soft quality fabrics. All pieces are ethically made and the company works with upcycling NGOs in Delhi, India, to transform production waste into new beautiful things. Political Style has teamed up with Verry Kerry to give one reader a giftcard worth £50! To enter the competition use the widget below. Good luck! Happy weekend! This week has been a sobering one for me, and has given me a chance to reflect on many things. 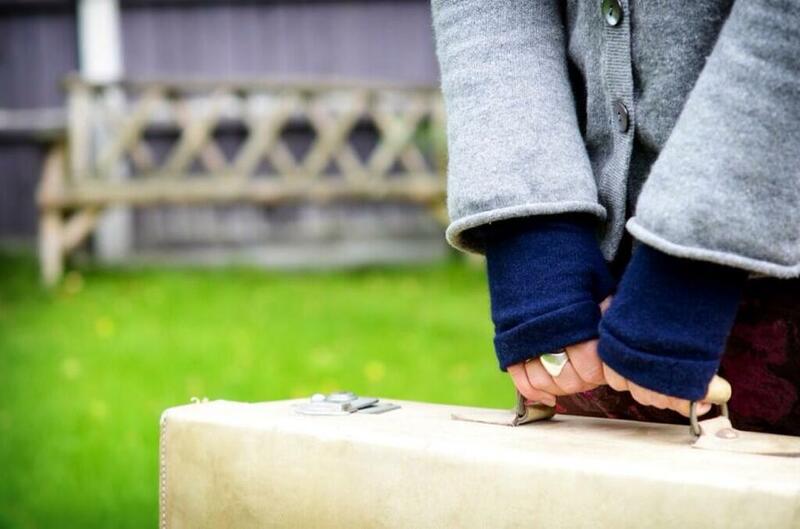 On Friday I headed to the Bath Decorative Antiques Fair - it was fantastic! With a great range of dealers and beautiful antiques and it was a fun day out! I picked up a pair of authentic ballot boxes from Chris Holmes Antiques - pictures to follow! International Women's Day: 8 women to watch in 2016: this week we marked International Women's Day- this women are worth watching this year! Nancy Reagan proved the power of partners in leadership: former First Lady Nancy Reagan sadly passed away this week. This piece examines her role in President Reagan's tenure as Commander in Chief. I'm modeling my marriage on Frank and Claire Underwood's: such a compelling piece! But don't read if you are not a fan of spoilers! 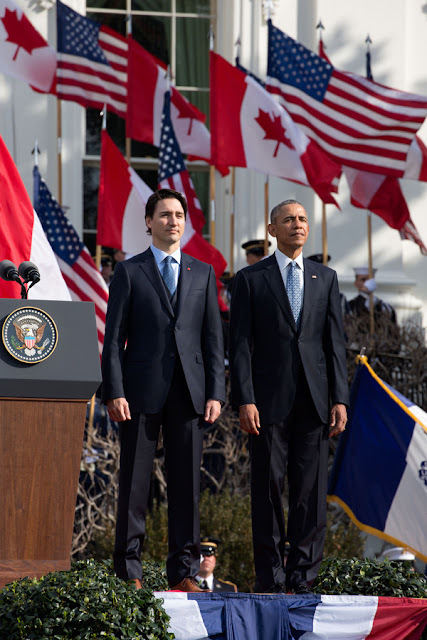 This week, the President and First Lady welcomed Justin Trudeau, Prime Minister of Canada and his wife Sophie on their first State Visit to the United States. In the evening, the President and First Lady hosted a state dinner in their honour. Mrs Obama wore a deep blue jacquard gown by Jason Wu. Mrs Trudeau chose a bright purple dress by Canadian designer Lucian Matis adorned with coral flower-shaped appliques. 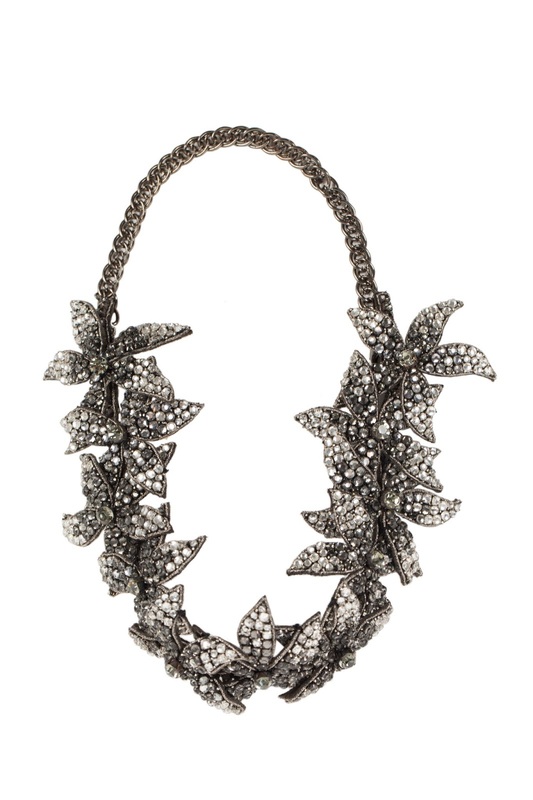 I'm a firm believer that jewellery should always make a statement. Go bold or go home is my mantra when it comes to accessorizing, and Deepa Gurnani seems to share this way of thinking! The Deepa Gurnani brand was created by Deepa and her jewelry designer husband Jay Lakhani, both whom had always had a passion for unique design. While Deepa was studying fashion at London’s prestigious Central Saint Martins College of Art and Design, she was also beading couture pieces for Alexander McQueen, Emanuel Ungaro, Fendi and Marjan Pejoski. 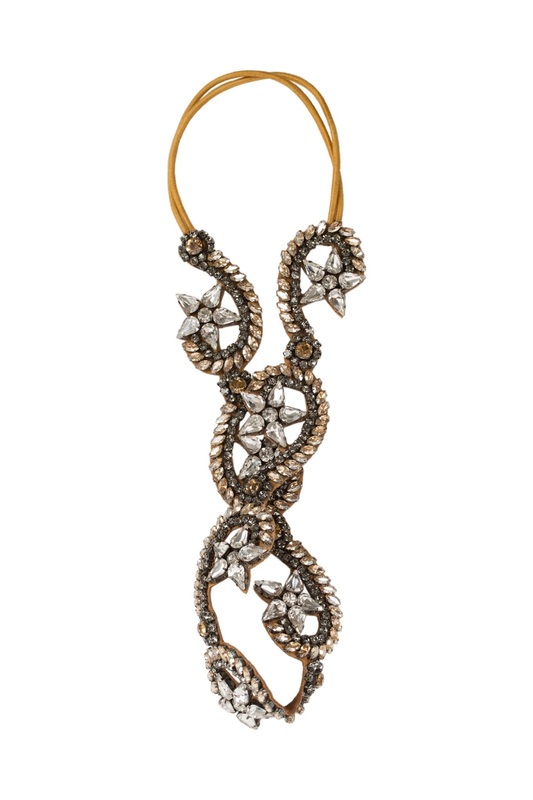 Deepa then used the profound understanding of couture and quality she learned combined with her distinct style to create her own line of luxury accessories, each handcrafted in India. Deepa Gurnani's mission has always been to create the most beautiful yet easy-to-wear pieces for all occasions with no compromise on the quality and the ethics of their workmanship. The accessories are handcrafted in India where they stitch and weave in the exotic colors and beading of the country. The creativity and care that goes into making each and every piece is exceptional and unparalleled. 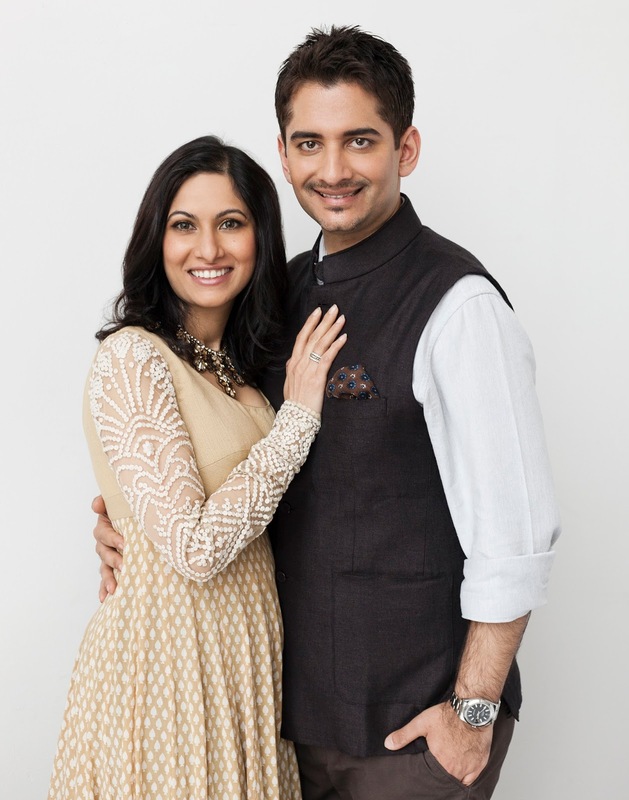 Gurnani's designs are a hit with individuals like Natalie Portman, Sasha Obama, Paris Hilton and Kelly Rowland. After 10 years in business, the brand has grown from strength to strength in a constantly changing industry. Customer expectations of exquisite craftsmanship and luxury is ever in demand, however in a challenging world economy there is a growing need to satisfy a more price-conscious customer. Check out some of Deepa Gurnani's beautiful creations below! Jackie Rogers is fashion royalty. Starting her career as a model for Chanel and working with the legendary Coco, Jackie began her design career in men's fashion. She was discovered by the fabulous (and Political Style favorite,) Lee Radiziwill, a move which propelled her to stardom. I spoke to Rogers about her time as designer, what inspires her in the creative process and who she'd love to dress. I grew up with it because my mother was a hat designer who had a store in Boston. I started hanging out there when I was 12. I then went on to become a model for some of the best designers in the United States, and I found out I was always telling them what to do because they were fitting the clothes on me, like Bill Blass and Oscar de la Renta and people like that. So, I had a big background before I became an actual designer. My inspiration and training comes from the one and only, Coco Chanel, whom I worked with and modeled for while living in Paris. I started my design career in men’s fashion with a client base including some of Hollywood’s leading men like Peter O’Toole, Jack Nicholson, Michael Douglas and Woody Allen. 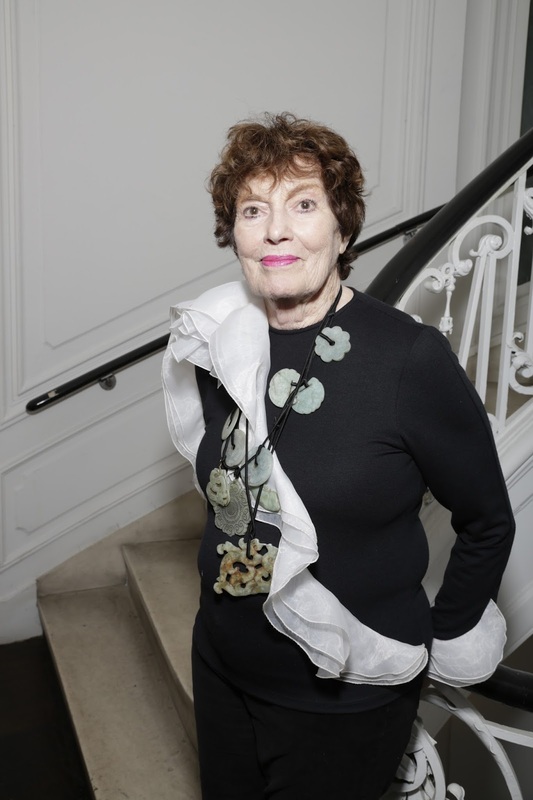 Soon after I was discovered by Lee Radziwill and Jackie Onassis, which propelled me into womenswear. What inspires the design process behind your creations? What influences me is line and form. I don’t actually say “Oh, I’m going to design like this.” I drape and do not sketch. Even now, going forward into the Fall collection, which I’m going to show in September, I’m going forward with what I did in the Spring so there's a natural progression. I had a friend who was a fashion editor at Vogue and I remember her saying to me, “You know Jackie, your last collection is in your next collection,” and she’s right. So, you have to bring it forward. I don’t know what other designers do because I really don’t look at what they do. Chanel was of course a big influence on me because I went to work with her as a model in the beginning of the 60s. The first day I came there, she invited me to lunch and I thought that was the way it went, but that was not the way it was; I was just very fortunate. It was a fabulous time. Which notable individuals, including politicians have you dressed? What put me in business as a womenswear designer was Jackie Onassis because she came in with her sister Lee who found me on Madison Avenue and they flipped out over my clothes, and that started it. Lee made the cover of Women’s Wear Daily wearing one of my blouses and that’s how it all went together. 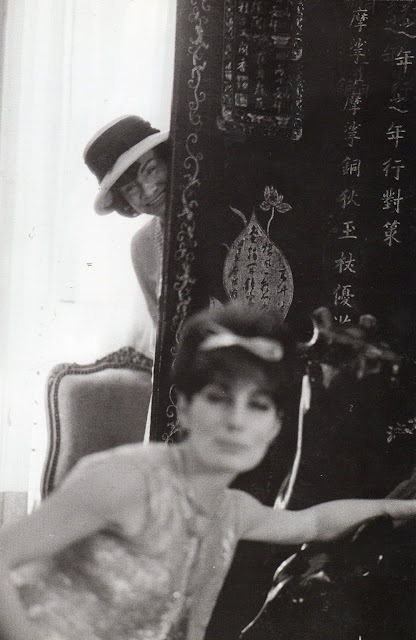 In those days, there was a great woman called Babe Paley who was a fashion icon. She made designers, and Babe was one of my first customers also. Over the years, Condoleezza Rice has worn my clothes in addition to celebrities like Oprah Winfrey, Diana Ross, Christine Baranski, Julianne Moore, Roberta Flack and Gwyneth Paltrow to name a few. What do you think are the key elements to a stylish look for a politician? Each candidate should be wearing custom-made tailored clothing so that the younger generations can identify with them. What is your opinion on the fashion choices of the current Presidential candidates and their spouses? I’m very disappointed in Hillary who isn't dressing to appeal to the masses. The men don't have a ton of room to showcase their fashion sense other than through their ties which usually coincide in color with the party they're in. To be honest I think the Obama's set the bar high. They’re modern and Michelle is very avant garde. I think she dresses beautifully. I would love to dress Nicole Kidman or Christina Ricci who have very unique fashion styles. 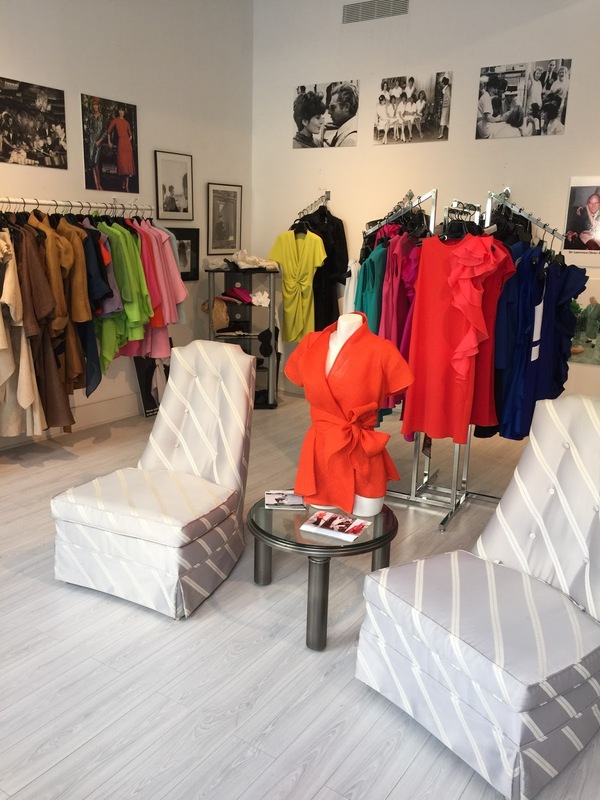 I’ve dressed many leading ladies over the past few decades including Lee Radziwill, Jackie Onassis, Patti LuPone, Selma Hayek, Courtney Love, and more. I’d like to get into mass production frankly. We’re making jersey dresses now. We’re going to try to bring the prices way down. We’re selling them out of our window but they’re not inexpensive, and we hope to get them where they will be at a price where everyone can afford to buy them. Today is International Women's Day, and to mark this special day I've spoken to British native Kerry Bannigan, a trailblazing entrepreneur who has pioneered events and initiatives in fashion and retail to drive economic change, impact small business and spearhead social good. Kerry’s leading expertise in event management, strategic marketing and business development combined with her passion for supporting entrepreneurship and philanthropy has gained her international media recognition in NBC, Forbes, CBS, BBC, Fox, New York Times, Cosmopolitan, Glamour and Wall Street Journal. Kerry’s diverse acumen and vision has led her to an active role in executing government initiatives with the United Kingdom, Turkey, Czech Republic, Switzerland and Saint Vincent and the Grenadines; including selected by the UK Trade and Investment with the British Embassy to forefront the Fashion is GREAT campaign with Harvey Nichols Istanbul and recently produced events for the Global Sustainable Development Goals at the General Assembly. In 2006 Kerry Co-Founded Nolcha Events; a New York City based award-winning creative events production agency focused on the fashion, retail and social impact sectors; with a client portfolio that includes New York Stock Exchange EuroNext, Yelp, G8 Young Summit and Procter & Gamble. Kerry is the Executive Event Producer for the Media for Social Impact and Nexus Youth Summit held annually at the United Nations. In 2007 Kerry created the Nolcha Shows; a leading event for independent fashion designers to showcase to press, retailers and industry influencers during New York Fashion Week; as seen in Entrepreneur, Lucky, WWD, Bravo and MTV and supported by world renowned brands including smartwater, Landrover and American Airlines. I come from a working class family and a small industrial UK town that offered very little opportunity when I was growing up. I witnessed sweat, blood and tears by hard working parents to put food on the table and a roof over our heads. I was taught no matter what to be kind, be confident, believe in yourself and never be imitated by boundaries. Education was my weapon to get into university in another town and to continue my life experience. I have grasped every opportunity in life with both hands and never looked back. 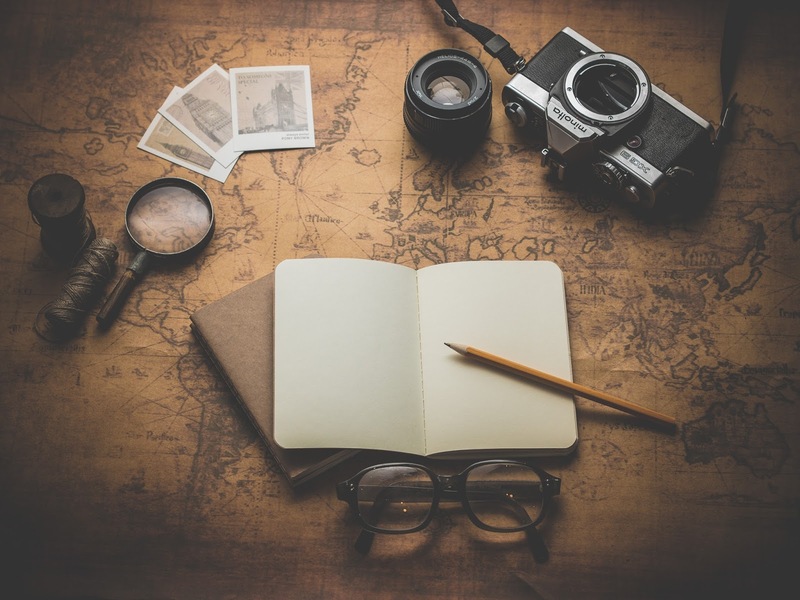 I have a huge desire to travel and all of my adventures have taught me so much from different cultures, countries and outlooks…it pushes you to open your mind and in time open your heart. Through my life experiences I now place a great value on people in my work life and strive to lead my team not only to professional success but to personal growth and to learn to embrace both together. My experiences have taught me to be patient and understanding as you never know what scars somebody carries or what they are experiencing and why; do not judge and make people feel as safe as possible so that they can jump off of the cliff with you and feel their wings carry them to success. How has your previous experience aided your tenure at Nolcha? I co-founded Nolcha at 23 years old, after graduation in the UK and moving to New York City. At 16 years old I worked with the terminally ill and elderly as this was typical for young girls in my town at the time, this taught me compassion and to live life with no regrets. I went on to work in events, marketing and sales throughout my education and knew that I wanted to be an entrepreneur and build a platform as a voice for the unheard. This ended up being a platform in the fashion industry for independent fashion designers to launch and be recognized. The highlights are endless but some key memories are being chosen to head up a fashion program created by the British government in Istanbul for independent fashion designers, TV appearances on networks such as NBC representing fashion entrepreneurship, every time a social impact campaign I work with reaches a milestone and seeing our business featured in Times Square when digital coverage became a big reality. There are always challenges but nothing that I do not take into my stride, solve and learn from. As a woman in business there are the challenges that we read of often such as gaining respect for your vision and more so for myself as I was a 23 year old female immigrant…however that challenge is over and I find the USA to be an excellent place to make my dreams happen. As the business owner it comes with challenges of funding at the start, team management and surrounding yourself with trustworthy hardworking people. Whether as a combination of fashion and events or separately both are industries that require thick skin, ability to work long flexible hours and to be a people person. Always gain experience via internships/temp job to make sure this is what you want. Be prepared for dealing with very creative personalities and have a mentor within the industry as times will be frustrating and you need somebody to guide you that understands the sector you are in. People are key to making your dreams come true. Treat everybody equally, respectfully and with patience and compassion. Nothing is achieved alone so always remember to take a moment and appreciate those people around you – both personally and professionally. For a long time I did not as I worked day and night to grow my business and I loved every part of it. In order for more time in my personal life I needed to expand my team and have somebody I trust to share my workload which is never easy as the founder. Today I have a fantastic right hand person who allows me to take time to enjoy what I have worked so hard for. I have now learnt that I am a better person for the team, my clients and loved ones when I embrace work/life balance. Whether Broadway, dinner or a walk in the park quality time with people is important and should never be replaced with work. I make sure to read when I wake up and always at night to unwind. I keep a gratitude journal and I take time to make plans with loved ones and completely block out work. No phone where possible during these catch ups! Understanding and believing in our value. We nurture everybody else but neglect ourselves, speak up for others but forget our own voice on important topics of pay, bonuses and ideas. Sometimes we feel so lucky to have the opportunity that we do not share our concerns. Mentorship teaches me to look outside of a situation from several perspectives and deal with things more collectively and focused. It pushed me to understand the importance of work/life balance positively impacting both my professional and personal life. Having a trusted voice always there to listen and advice is invaluable even if found via several people. Leaders are set by our own definition. To me this is my mother and my grandmothers who have taught me life is to be lived, hard work pays off and to never forget where you come. These simple lessons are important to my daily ethics and continued success. I have learnt more over cheese on toast with a cup of tea with my gran’s then in some leadership conferences! Being raised in a country with a Queen at the helm and a strong history of them I always believed as a little girl it was possible for me to do anything and to this day I still admire our Queen’s – even if for nothing more than making me believe a girl from a small town could have huge impact too if she dared to dream. What do you want Nolcha to accomplish in the next year? I want Nolcha to continue to support female fashion designers from around the world to launch in New York City and be a voice and a place for them to unveil their work, expand their businesses and to grow professionally and personally. Nolcha will continue to strive to support social impact campaigns as we produce their summits and conferences; bringing people together for live experiences and watching major action and positive impact is an incredibly inspiring role to play. 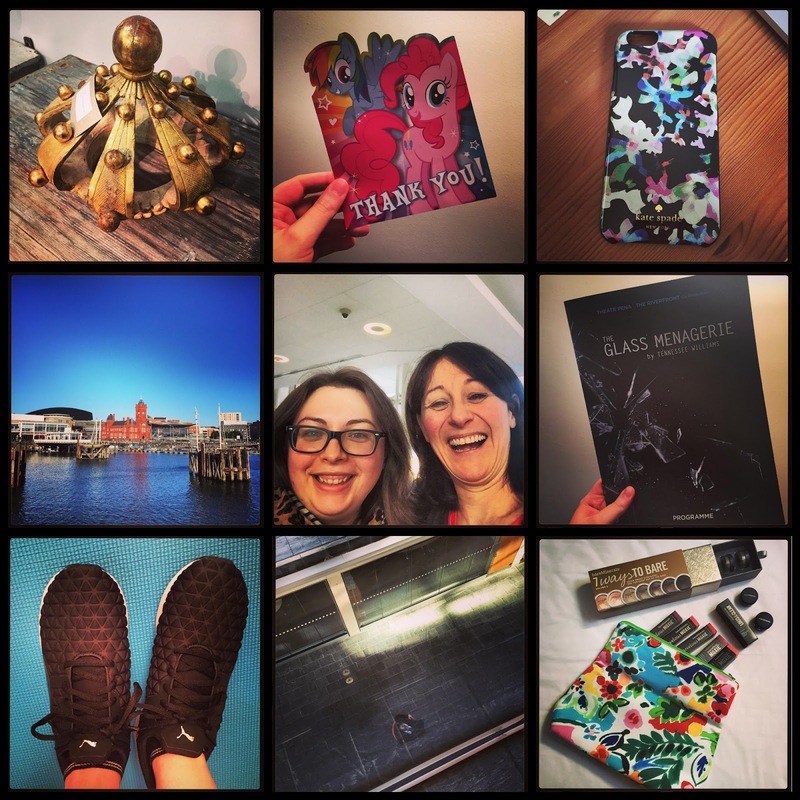 I'm always on the go, and hopping from various meetings and events can zap up all my energy! 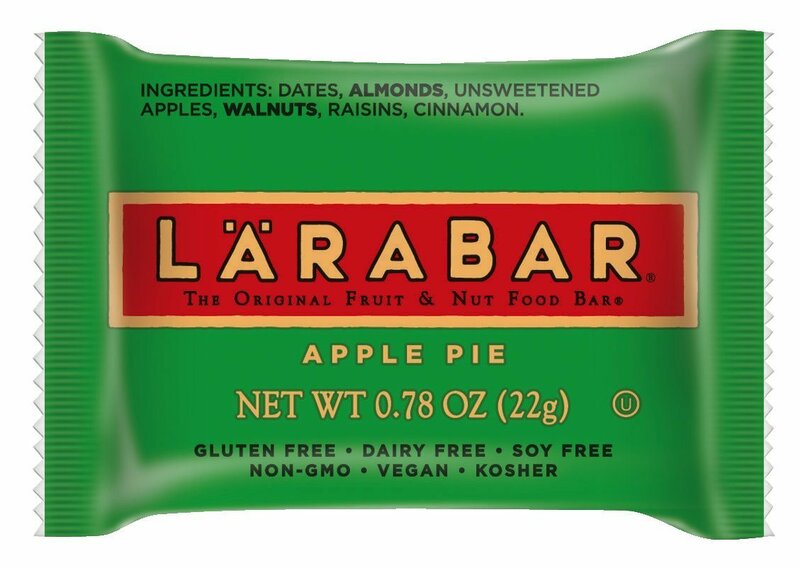 Having a healthy and sustainable snack in my bag helps, and a LARABAR is never far away. 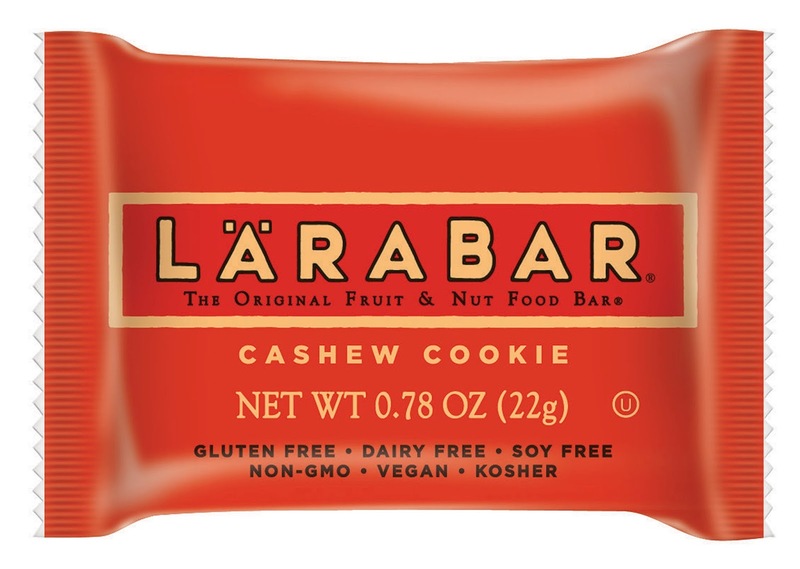 Available in a variety of delicious flavors, LARABAR was started by Lara Merriken. 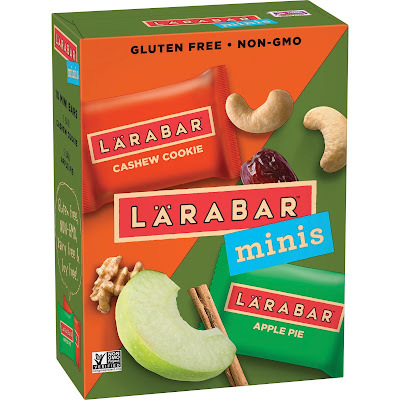 Originally available in five yummy favours- Cherry Pie, Apple Pie, Cashew Cookie, Banana Cookie and Chocolate Coconut Chew, an expansion in lines has seen millions of LARABARs sold every year. 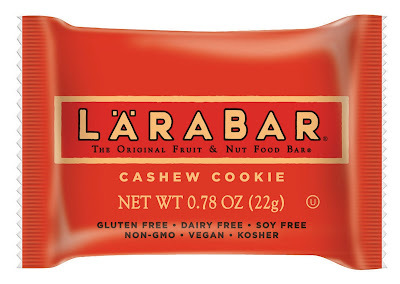 LARABAR has recently released its bars in a mini size. The whole food fruit and nut bars are available in a 100 calorie mini size and are available in two, 10-ct variety packs with five of each of the following flavors: peanut butter chocolate chip, peanut butter cookie, apple pie and cashew cookie. Three lucky US readers can win a supply of the new LARABAR Minis. To enter, use the widget below. Good luck! I can't quite believe we're into March! It's been a week of highs and lows for me, and I'm hoping that the new week will bring brighter things. Late to the party, I've just signed up for Netflix! How I lived before Netflix I'll never know! My current favorites are Grace and Frankie, Fuller House and Hinterland. I'm looking forward to starting House of Cards over the weekend! Sallie Krawcheck: this is the future of work: Krawcheck is such an inspirational businesswomen, and her article on the different cycles of work and opportunities is a compelling read. 15 Netflix documentaries entrepreneurs should watch: they're all on the list! Women in Business Q&A: Ashley Parrish, Executive Producer, TODAY Digital: it was a real thrill to interview TODAY's Executive Producer of Digital, Ashley Parrish. 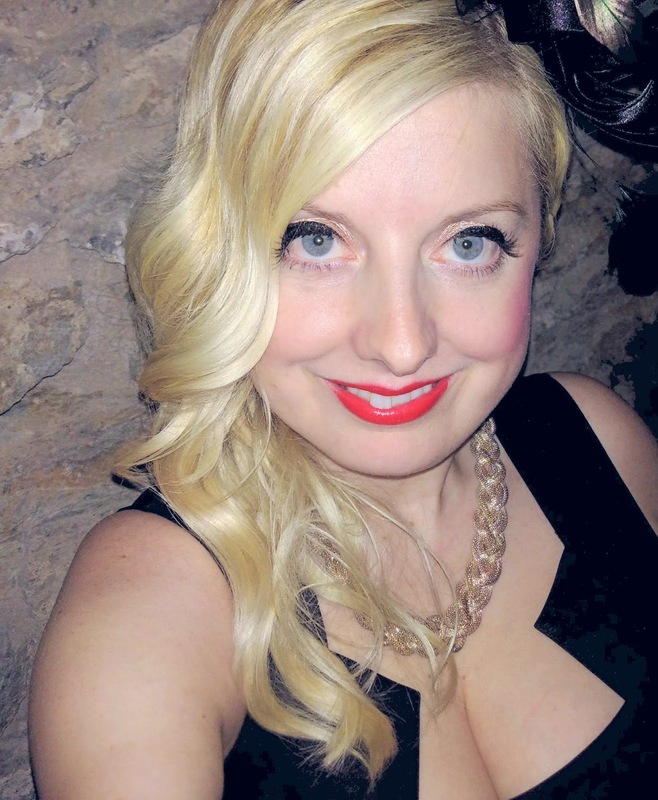 Check out her career insights of working in both print and digital! 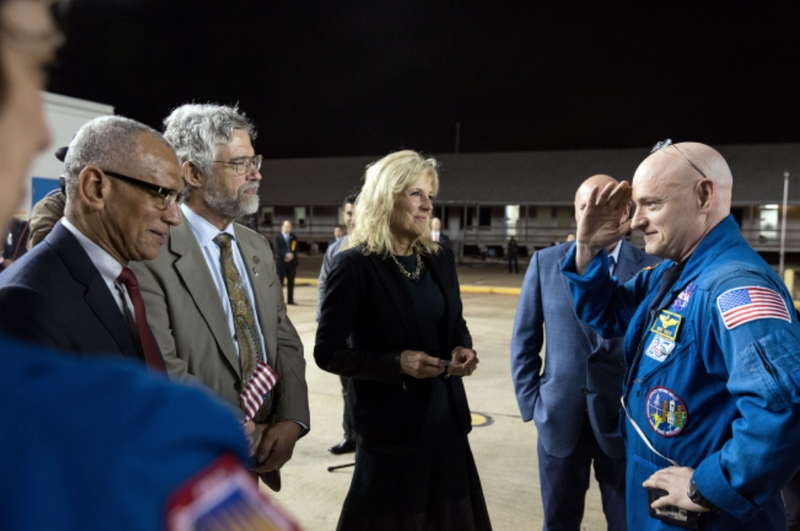 This week, Dr. Jill Biden traveled to the Johnson Space Center in Houston, Texas to welcome Astronaut Scott Kelly back to the United States after his #YearinSpace. She was accompanied by three high school students from military families, and their teacher. The group toured the Apollo Era Mission Operations Control Room and the International Space Station Flight Control Room before welcoming Kelly home. Ethical fashion is a strand that I'm becoming increasingly interested in, and it's great to see that Belvele have recently launched their ethical fashion marketplace. You may remember Monica Rojas from previous features on Political Style. She is the brains behind Amatoria Clothing, a brand which has presented in the West 18th Street fashion show for the past two years. Monica is passionate about fashion with a cause, and Belvele's mission comes from her own frustrated attempts to shop more consciously after she learned about the fashion industry's horrific impact on the environment and workers. Belvele has a curated selection of garments for men and women by contemporary designers such as Emerson Fry, Esby, Elise Ballegeer and Miakoda. The carefully curated online boutique features garments that are responsibly sourced whilst maintaining a fresh, contemporary aesthetic. By supporting this cause, Belvele helps small businesses flourish whilst providing a range of ethical choices for consumers. I spoke to Monica about her short term goals, what they hope to achieve and what drives her team. Launching a business comes with endless unforeseen obstacles. Overcoming those obstacles is much easier when you have an incredible team, and a strong support system. We are proud to have launched the site, and our supporters are thrilled. We are headed to New York this month to search for exciting new designers who fit our vision of design, craftsmanship, and sustainability. We want to shine a spotlight on the people behind the clothes. Our customers care about the story behind the garment. It feels great when someone compliments your outfit. It means even more when you know it is a unique piece, made and designed by people who care about their impact on society and the environment. We especially look forward to finding sustainable menswear, which is a huge gap in the market right now. We will also be putting our social media interns to work, to engage with our conscious shoppers through some fun contests and giveaways. Stay tuned! Aside from the support of friends, family, and wonderful strangers, the most rewarding part of our journey so far has been bringing attention to the truth about the fashion industry. Just like everyone else on our team, most of our friends had no idea about all the awful things that occur to produce a $5 tee shirt. Many people have approached us, wanting to learn more and hoping to reduce their negative impact in simple ways. I recently moved to San Francisco, and one of the things I admire most about this city is their devotion to recycling. There are recycling and compost bins all around the city. They have made it easy for people to do the right thing, and so most people do. That is exactly what we want to do through Belvele. 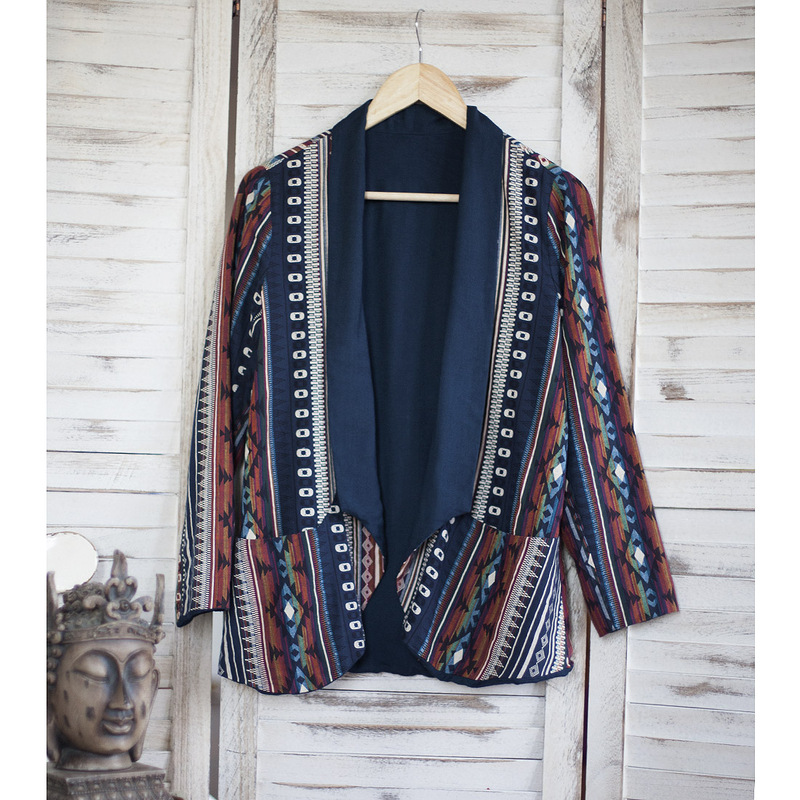 We want to make it easy for you to find ethical clothes that you want to wear. We want to reach those conscious shoppers who already care about Slow Fashion, and hopefully through them, we can spread this message to get more and more people on board. Consumers don't even realize how much power they have to change the world. Businesses depend on our money. If we decide we will no longer support products from unknown origins, they will have to fix their supply chains. We have to hold them accountable. I am fortunate to have some inspiring and talented ladies on my team, who believe in Belvele's mission. Many articles have been written about the pros and cons of our generation. One of my favorite pros is that we, Millennials, want to feel like we are part of something. We don't want to just spend our lives working for a meaningless cause. We want to work for a purpose. Our purpose is to use our effort and talent to change the second worst industry in the world. It's a huge undertaking, and we realize that we probably won't be able to completely transform this enormous monster. But every person we reach who changes the way they think about their clothes makes a difference, and that fuels us to keep at it.